I want to know where this buliding locates. I am interested in this apartment in Bangkok. I wanna know where it is and the name of it. Does anybody help me? Great thanks! I don't know exactly but maybe on the highway out towards Suvarnabhumi Airport area? Where did you find that picture? thank you very much. I got this picture from my girlfriend. She took it this month. I could not find this building from google map. May it is a new building? 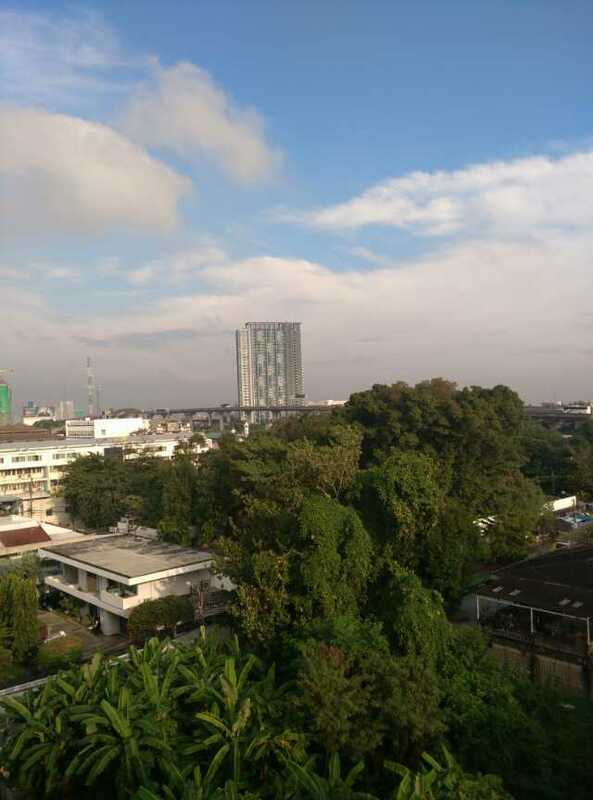 To me that looks like a place more rural area to Bangkok City. You should ask your girlfriend where she took that photo from, maybe while on the Airport Link, or on a highway somewhere, or even from inside another building? Definitely doesn't look like it was taken from the ground.